Food Parks. We see them everywhere. Literally everywhere! So why take a second look at this one? And why even bother entering? 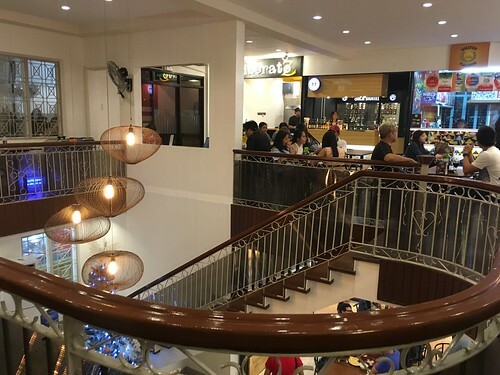 At a glance, Food Haven’s structure looks like a classical museum with modern details. The exterior may also pass for an old ancestral home with Hispanic finishings. The architecture alone is enough to capture the attention of any by passer. The interior retains its old house vibe, with the intricate details of the stairs, windows, and railings still intact. And the best part – the entire space is fully air conditioned. 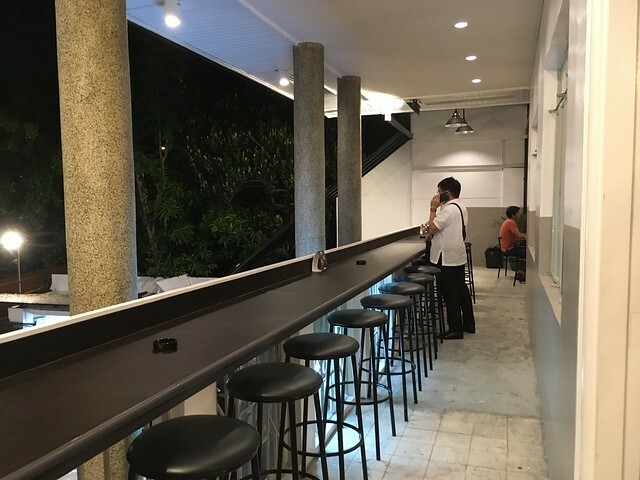 There is a balcony and an open area at the second level for smokers and for customers who want to enjoy al fresco dining. 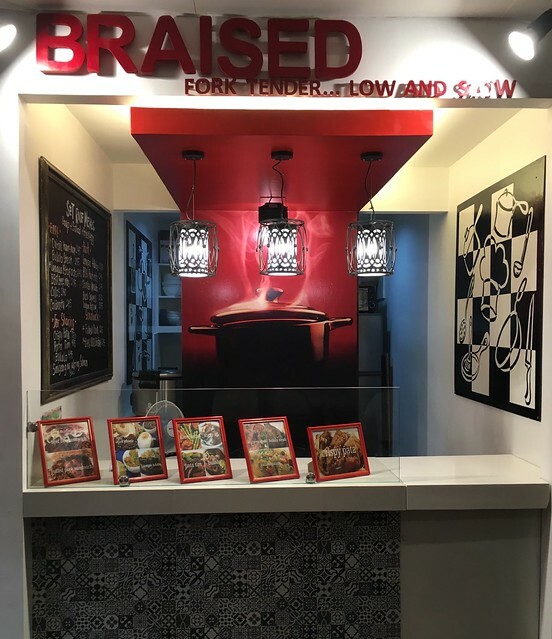 Before ALROSE DE LUZURIAGA FOODS CORP had turned it into the Food Haven at 77, the place was just an old house quietly sitting along East Capitol Drive in Kapitolyo, Pasig. 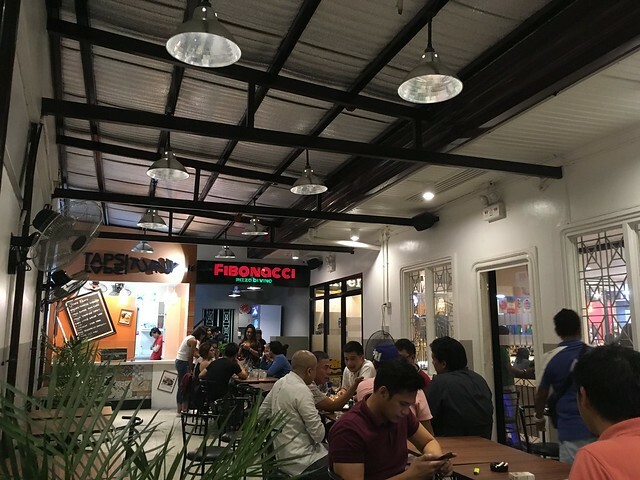 After laying eyes on the house, Mr De Luzuriaga saw the potential and knowing what he wanted (and did not want) from a food park, created Food Haven. 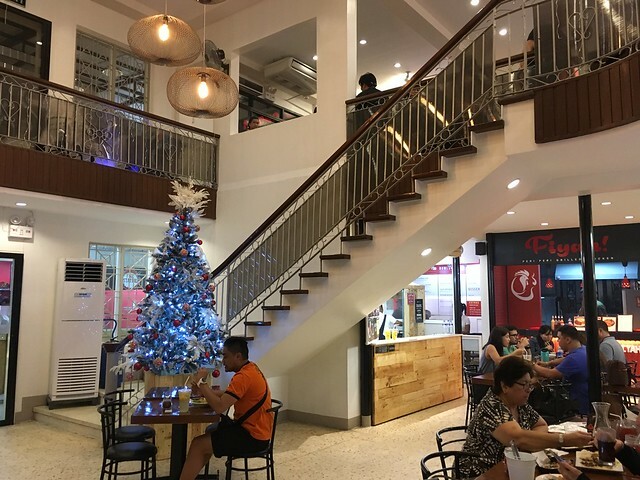 He wanted an environment where food enthusiasts can relax and comfortably enjoy a wide selection of food items, an all-in-one go to place where everything is readily available. 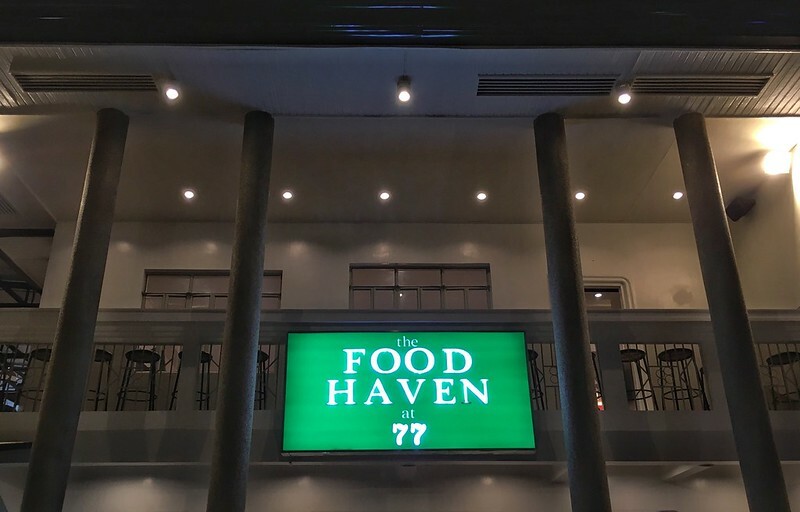 Food Haven promises to serve only the best to its customers and to control the quality of food, it was agreed that the value of all meals (starters and drinks not included) should not fall below Php150. Future plans include putting up paintings all over the place to showcase artworks from new artists. 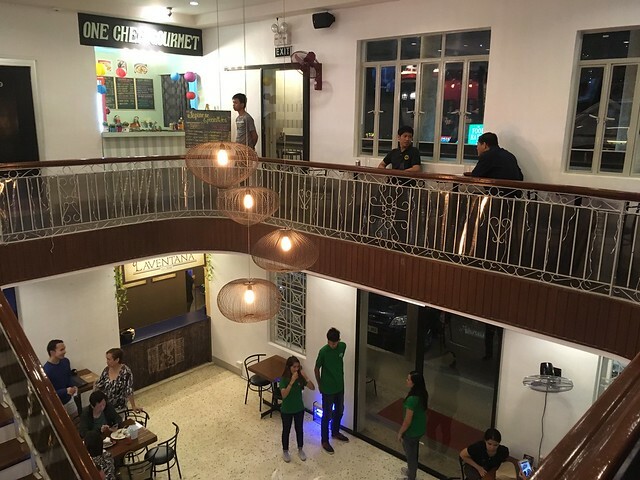 The owners are also looking at creating karaoke rooms, knowing that Filipinos love to sing, which may possibly progress into open mike karaoke nights to initiate more interaction from the guests. Acoustic bands are scheduled to perform regularly to add more soul to the vibe. 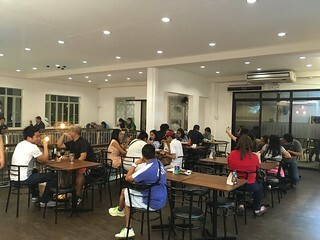 According to owner AJ de Luzuriaga, Laventana serves non-traditional Filipino cuisine infused with European flavors and cooking technique. Laventana or “The Window” is an epitome of a Filipino house with window sills open… the aroma of food cooking inside escaping through the windows reaching the people outside through their senses. 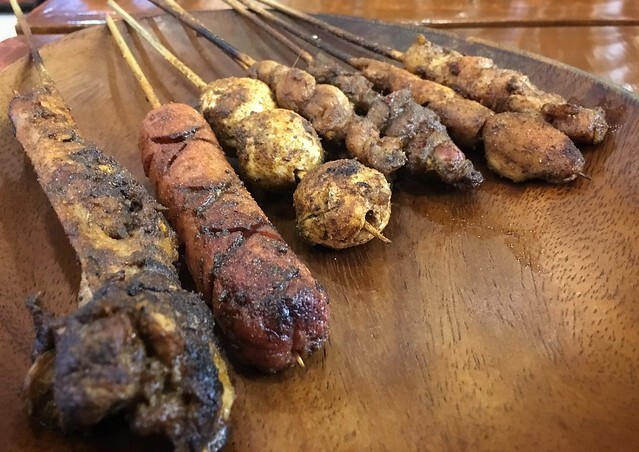 It reflects how willingly Filipinos offer delicious food from their own homes to yours. 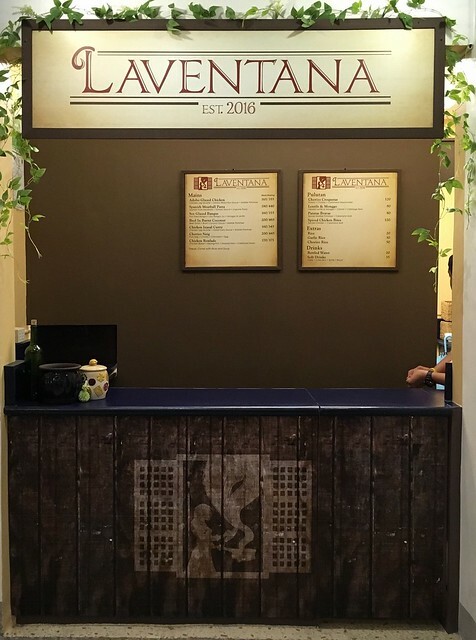 Similarly, aside from the beautifully decorated stall counter, Laventana also offers great food for takeout through its window strategically placed beside the entrance of the establishment. The best sellers are priced between Php 170-210 and appetizers offered below Php150. 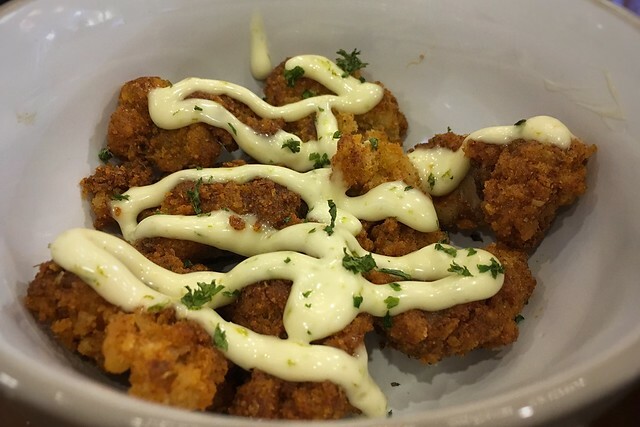 The calamansi mayo drizzled all over the Spiced Chicken Bites was a game changer. It gave the flavor a sour, tangy twist. 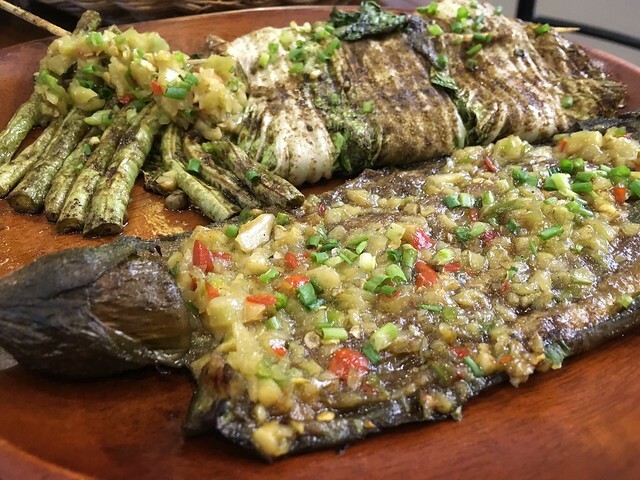 We cannot deny the fact that we love Mongo and this, served with Laventana’s Soy Glazed Bangus thrilled us. 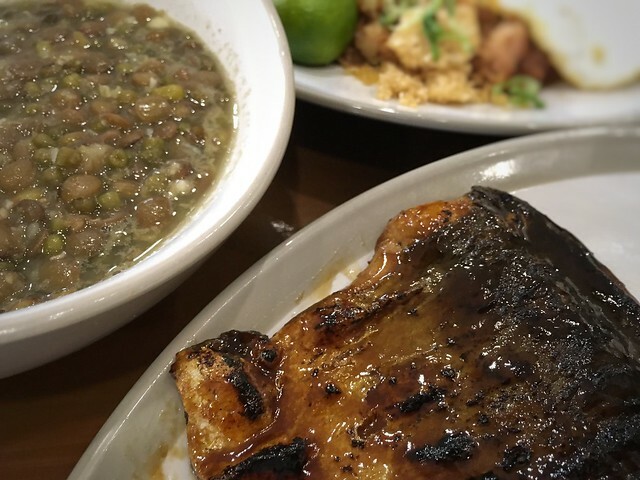 The mongo, more on the salty side, was given balance with the sweet taste of the bangus – definitely a perfect match. The Chorizo Sisig, topped with 3 sunny side ups and generously sprinkled with chorizo and crunchy chicharron bits was our favourite. Auntie May’s is owned by no other than everybody’s Aunt, May Reyes. 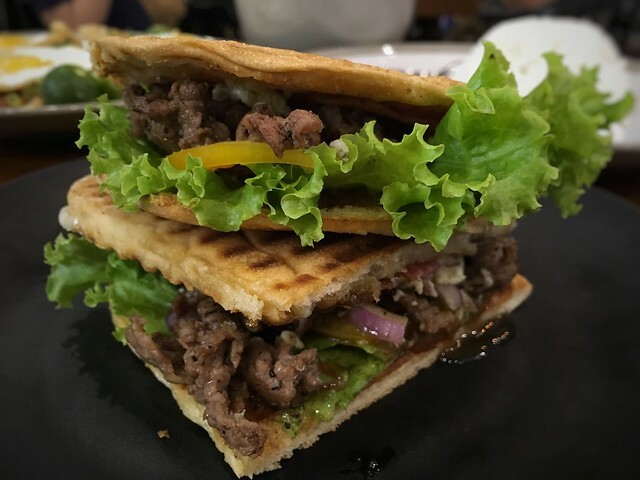 She started this food venture after her retirement from the corporate world, gaining recognition when her then best-seller, the Beef Tapa and Ginataang Kuhol, bagged the #15 spot in the 2010 Awesome Planet’s Ultimate Taste Test. Doors of opportunity opened when Auntie May was invited by Mercato to join their events where up to this day, she is still a regular. She recently joined Awesome Planet’s Ultimate Taste Test (again!) and this time grabbed The Number ONE spot with her famous Beef Salpicao, which is originally the brain child of her youngest son. 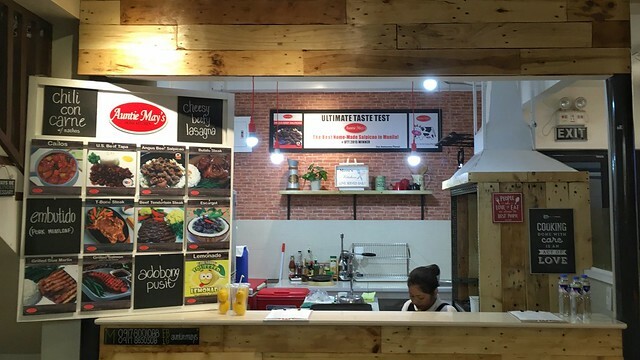 Catch Auntie May’s at Pioneer Street, Mercato, Food Haven at 77, and Salcedo Market. 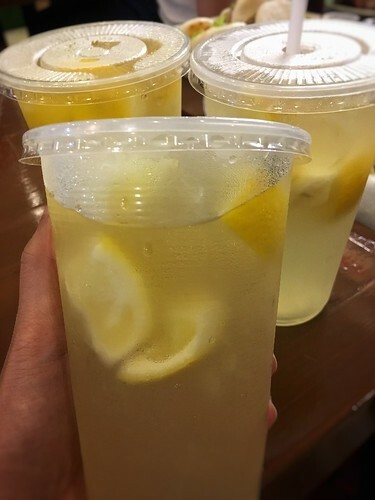 Also owned by Auntie May, freshly squeezed lemonade is always the perfect drink to all her meals. 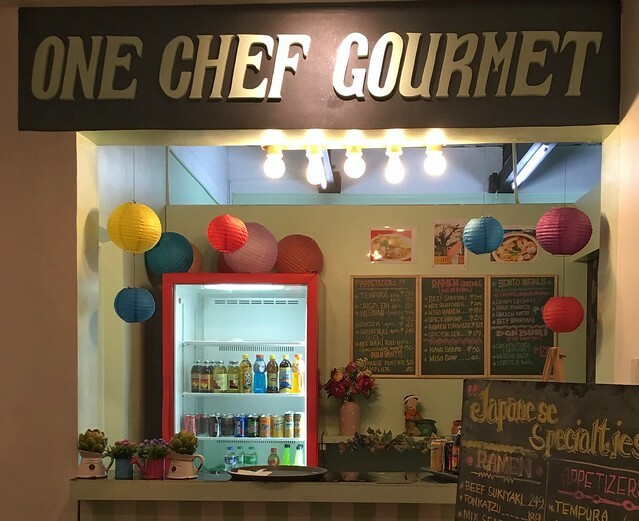 Ser Chef (named after Sir Chief of ABS-CBN’S defunct show “Please Be Careful w/ My Heart” ;p) is owned by Mr. Richmond Kan. A pioneer member of the Philippine Mobile Food Truck Association, he has several food trucks under his belt. He is the proud owner of Mitzis at the famous 168 Binondo and another one in Pioneer. 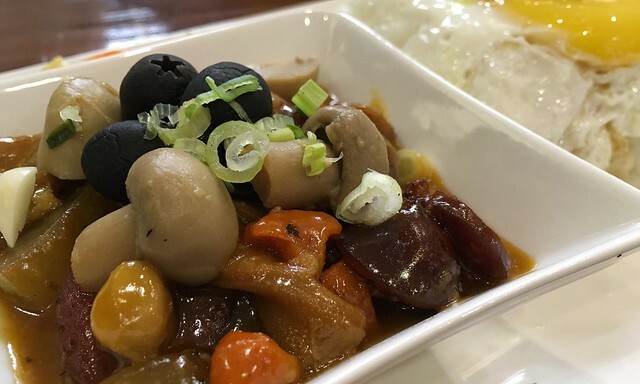 Ser Chef offers Cantonese and Hong Kong Street Food. 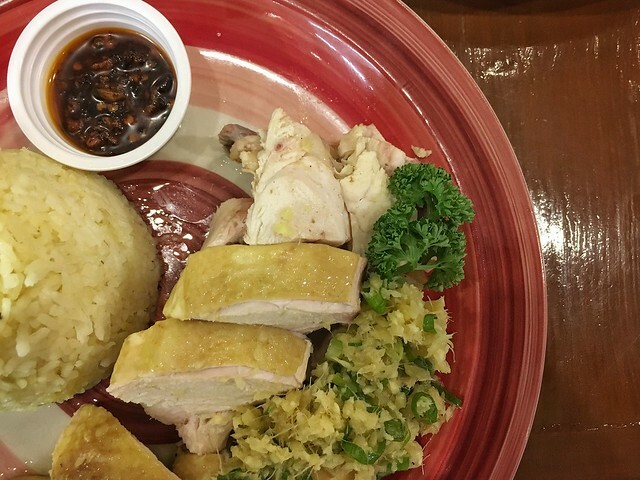 Their best sellers include the Lechon Macao and Hainanese Chicken. 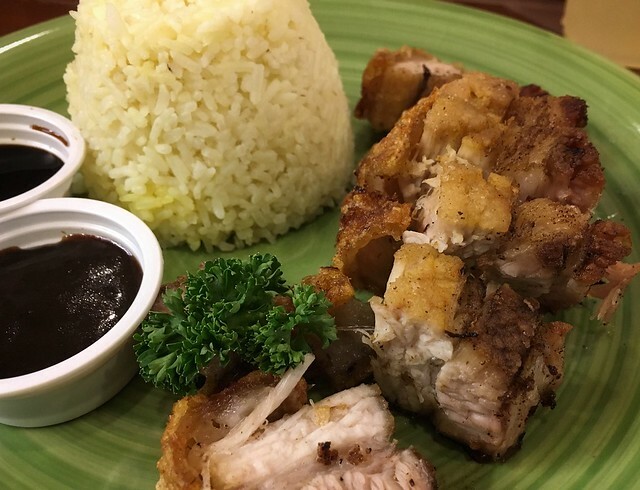 Rice toppings are priced from Php150 – 170 and ala carte at Php225. TIP! 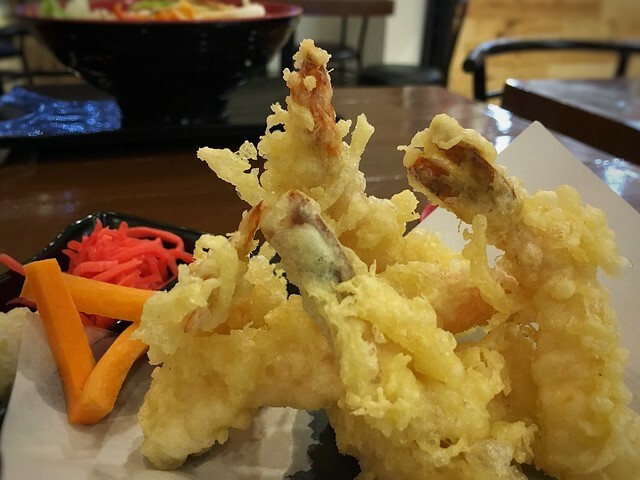 Mr. Kan loves to cook and he promises that as long as he is around, customers can always customise their orders with the available ingredients in the kitchen. 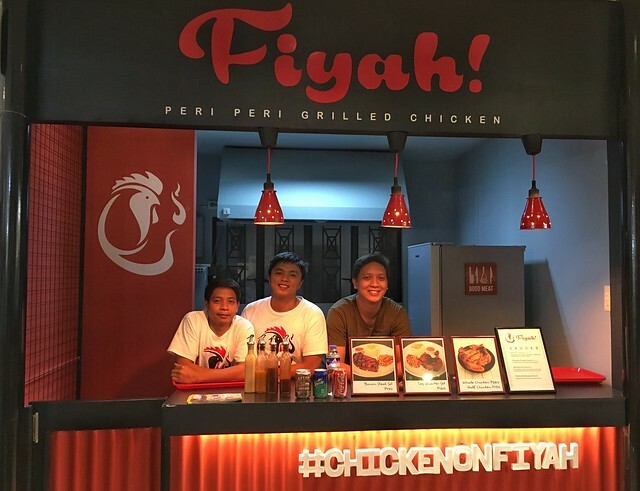 The word Fiyah means Fire and the proud owners Romeo Nacpil and Jeffrey Go are not new to the food business as both started out at El Phante, a food stall in Gastropark serving Thai-Mex fusion street food. Their best sellers, Fiyah! 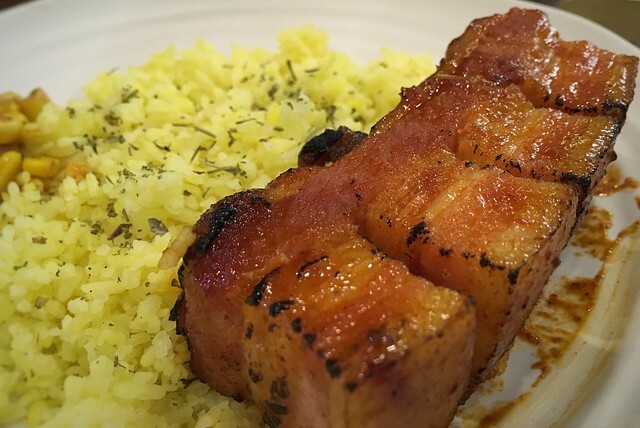 Chicken and Bacon Steak (Upscale liempo), are served with Turmeric Rice. Aside from these best sellers, Fiyah is also known for their sauces: Peri Peri Sauce – made from bird’s eye chili and vinegar and Chipotle Sauce – pureed chipotle peppers in Adobo Sauce which are bested paired with chicken; and for the bacon, Hot Mangorind – savory sweet inspired by Mangorind (a Filipino candy made from mango and tamarind) with chili garlic and Smokey Bbq – hazelnut bbq sauce and Sriracha. For the love of food, even people from the corporate world venture out into the food industry. 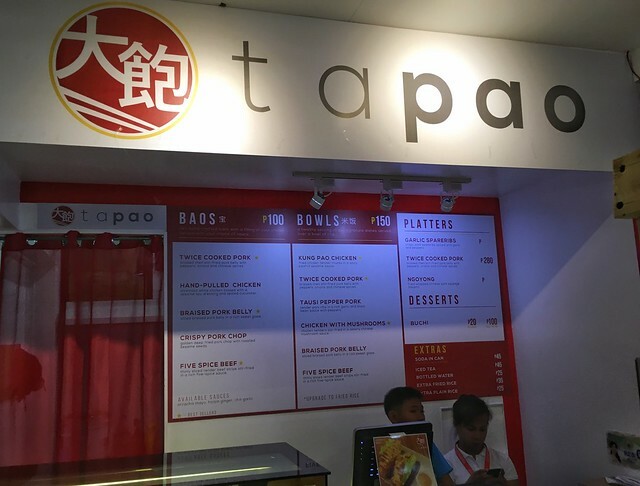 Justin Leyeza, a marketing and advertising professional and owner of Tapao, is no exception. 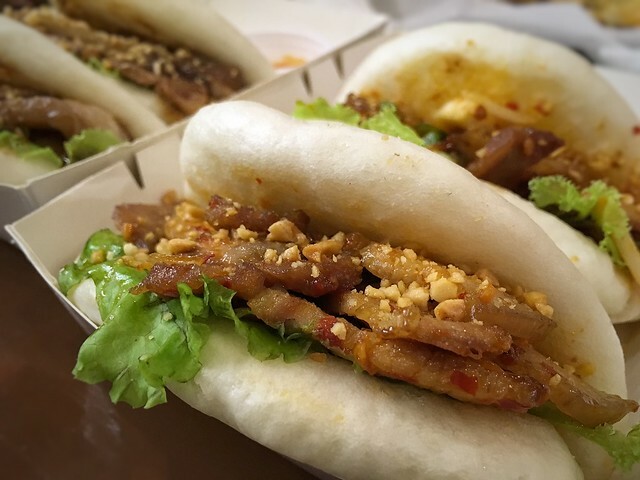 He was inspired by the concept of Bao House in New York and wanted to adopt it to the Filipino taste. 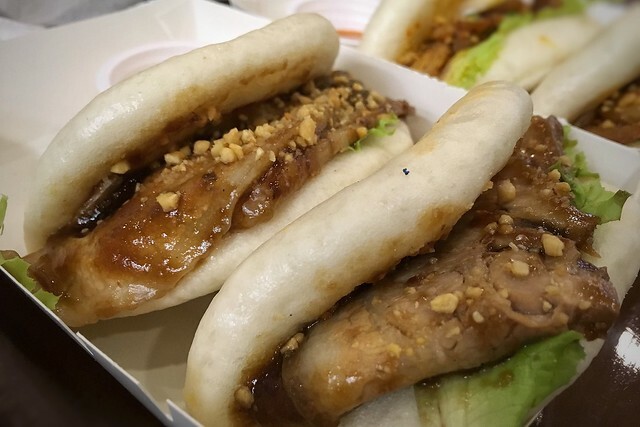 His best sellers are the Braised Pork Belly and Twice Cooked Pork Pao, braised in pork jus and stir fried with peppers and chili sauce. Owner JC Ganibe, is a culinarian, a toy enthusiast, and celebrity make up artist (prosthetics) all at the same time! His food stall theme is a reflection of his interests and he himself created the artwork display. 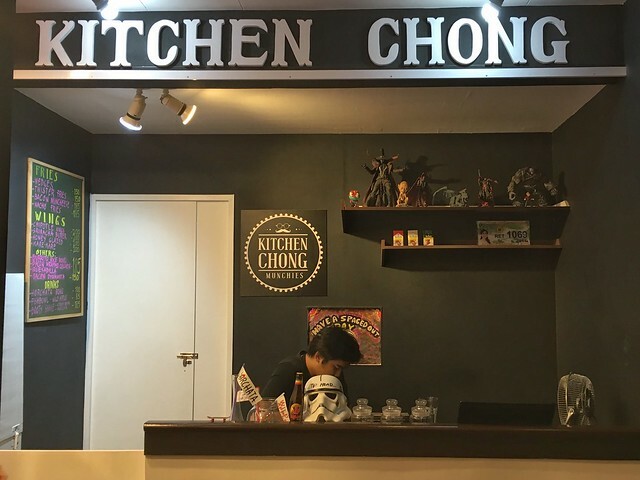 Kitchen Chong offers a wide variety of munchies and street food. His bestsellers are the unique Kare Kare Wings with Bagoong on the side and the Sriracha Butter Wings. We have yet to try these interesting starters. 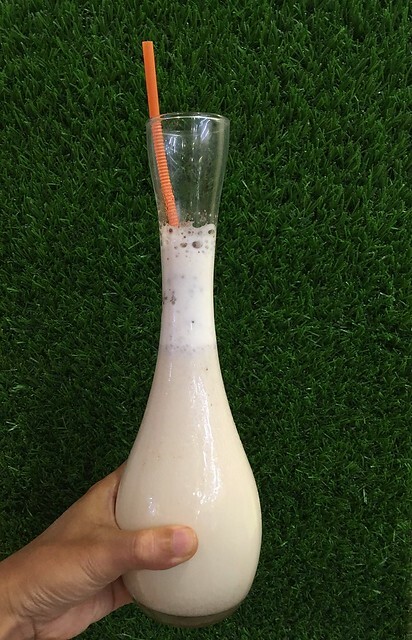 The Horchata, a traditional Mexican drink with rice milk, almonds, and cinnamon, is an impressive way to quench his customers’ thirst as this is not commonly served in food parks. 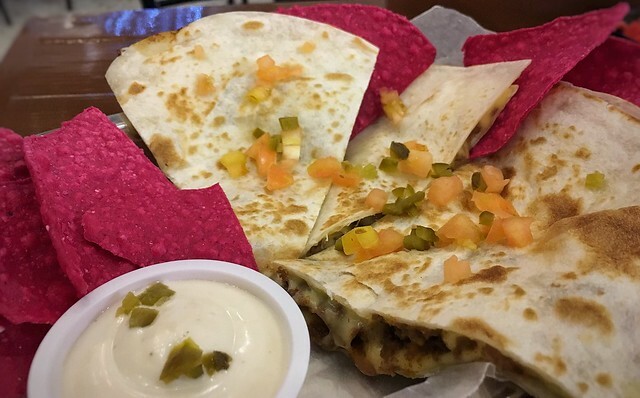 The Cheese and Beef Quesadilla, was so rich that every bite was oozing with cheddar and mozzarella goodness. 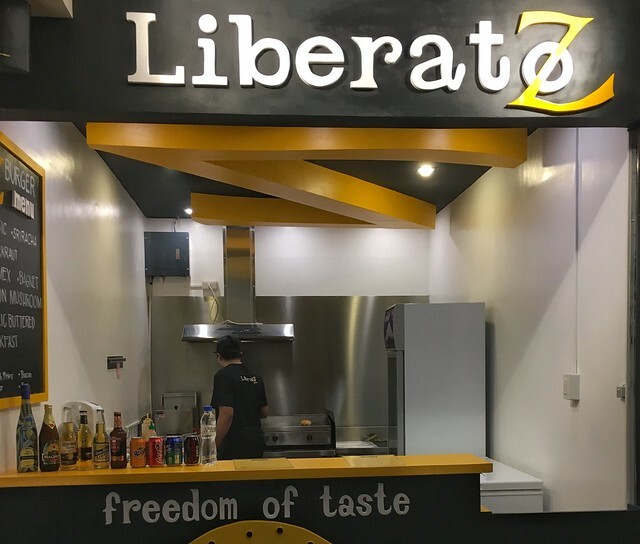 The word Liberatoz comes from the Spanish word “Liberatos” which means freedom, best representing the owners’ catchphrase “Freedom of Taste”. 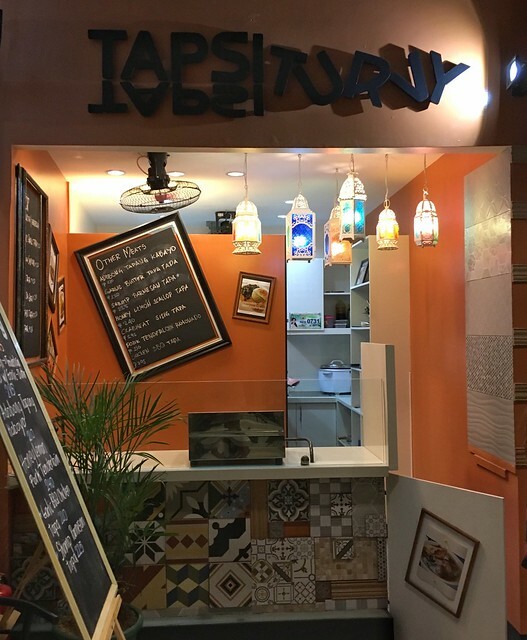 Liberatoz aims to free people’s tastebuds from the norm and make them crave for real and tasty food, with no extenders and MSGs. 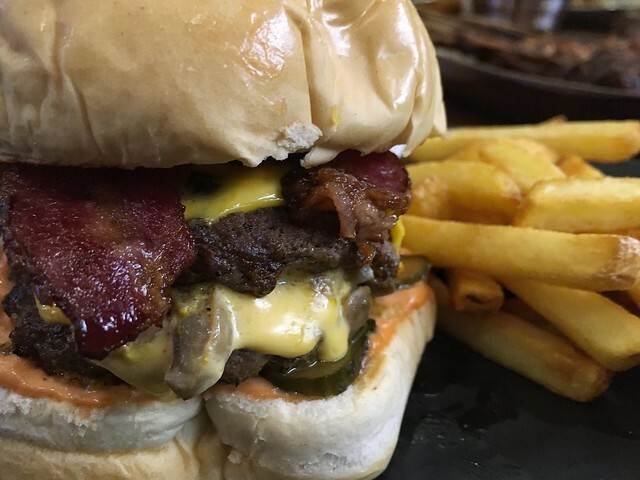 Bestsellers are the Classic, Sriracha, Bacon Mushroom, and Bagnet Burger, all ranging from Php150 – Php220. A piece of advise from the owners — always buy fries on the side because burger loves company then devour and get messy with it! 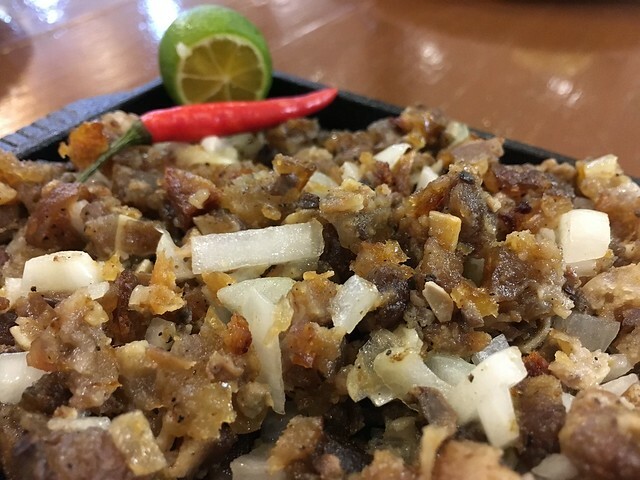 Kapit Sisig by Koya’s Kitchen is owned by Mr. Lawrence Crisostomo and her sister from Pampanga. 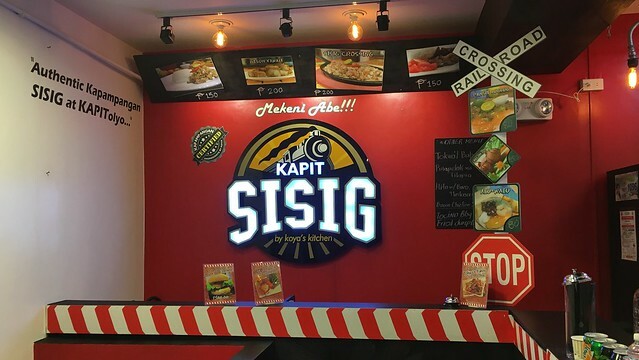 The name Kapit Sisig is a play on the name Kapit Bisig and at the same time, they want to be known as the “Authentic Kapampangan Sisig at KAPITolyo”. Why the train theme we asked. We discovered that in Angeles, Pampanga the “crossing” is where the famous and original Aling Lucing’s Sisig was born. People will always say “punta ka sa crossing” if you want to eat authentic Kapampangan sisig. And Kapit Sisig promises to deliver the same authenticity offered at the “crossing”. For only Php200, a complete meal may be shared without the need for any topping or added seasoning. The brains behind United Nachos is Civil Engineer Ronica Miranda. It has been her practice to order Nachos, her favourite comfort food from every restaurant she visits. It should be established by now that she is the Nachos guru and yes, she even creates her own sauces. 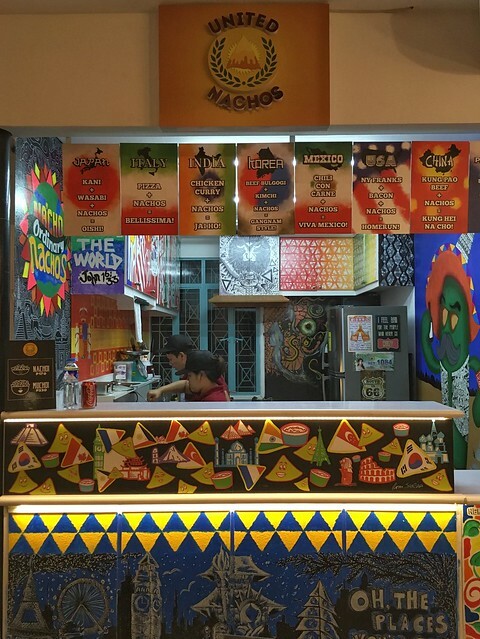 United Nachos (inspired by the United Nations) offers 8 different flavors representing 8 different nations – Mexico, India, Philippines, China, Korea, USA, Italy, Japan. The Japanese Nachos, made up of crab sticks, Bonito flakes, wasabi, and roasted sesame, is for her, the best. We got to try the Mexican Nachos, fully loaded with salsa and overflowing with cheese and ground beef. 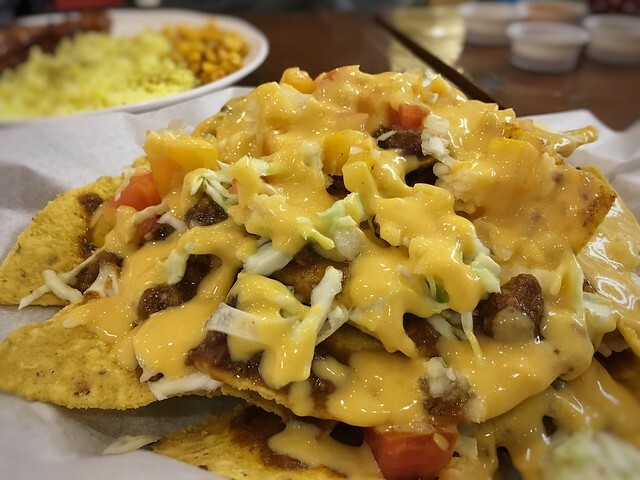 What’s special about her nachos is that the toppings are not just on top, they’re everywhere… in between and at the bottom of the chips. Prices may range from Php170 – Php230. Our elders would usually say “Dahan dahan mo iluto para lumabas ang lasa” and “igisa mo ng mabuti”. “Braised” refers to the original Filipino style of prolonged cooking. Cooking is done slowly so all the juices and flavors are extracted. Thus the name Braised. One of their best sellers, Beef Callos, is braised in parmesan and cheddar cheese. However, this combination thickened the sauce so you might want to have a glass of water on the side. Black olives and garbanzos are two more ingredients that complete the unparralleled dish only Braised can deliver. 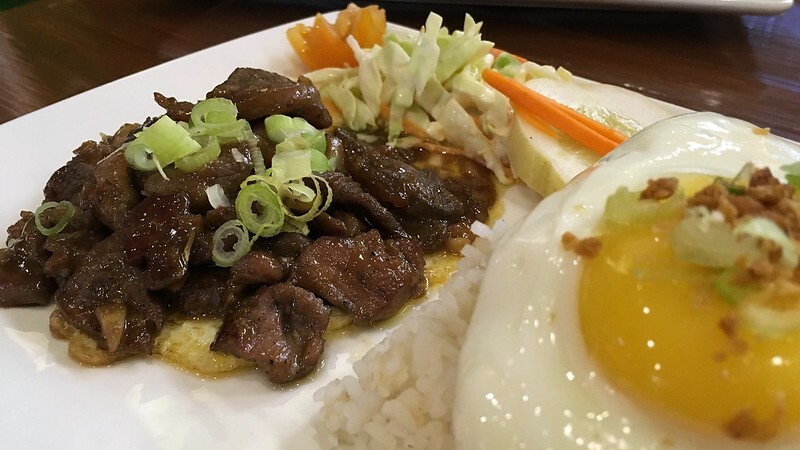 Their rice is always topped with a sunny side up because for the owner, Mr. Noel Flores, the fried egg and rice combo has always been a quick fix, especially for someone who is constantly on the go. 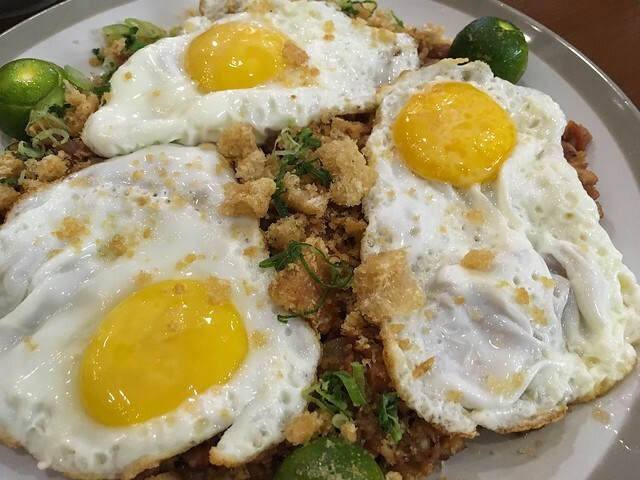 Any meal with a fried egg will always complete the Filipino experience. Mr. Noel Flores sees himself as a cook who is deeply passionate in everything he does. 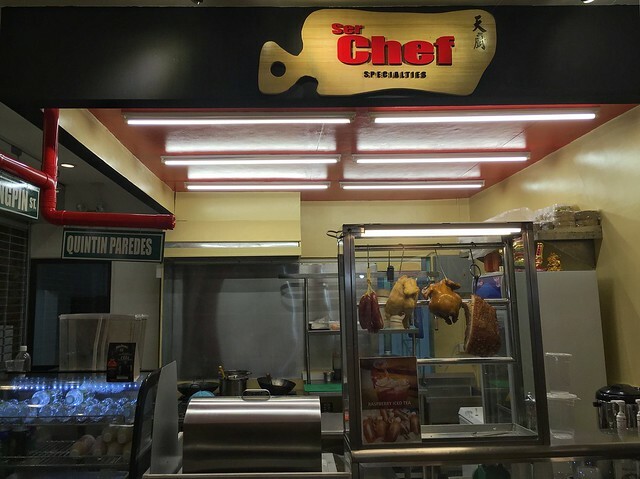 He was raised by a butcher and aside from Braised, he owns Tapsi Turvy as well, formerly known as IHAP (International House of Amusal ng Pinoy) in Sucat, Paranaque. 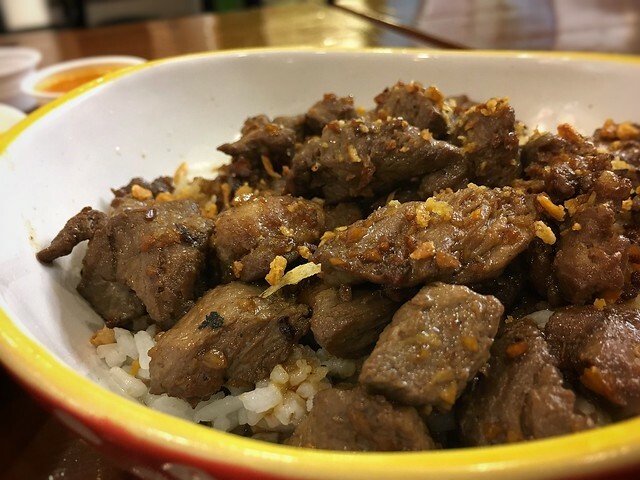 Tapsi Turvy sells all types of Tapa where 150 grams of lean meat served with Jasmine rice is priced at Php285. 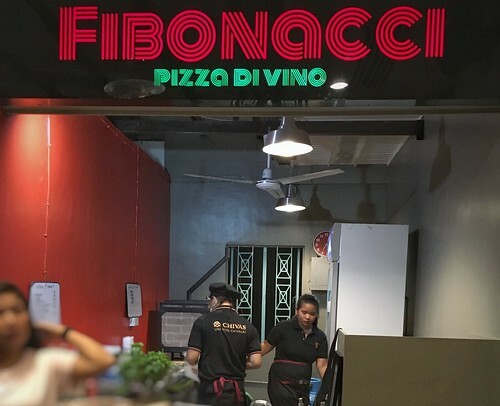 Owned by CJ Canlas, Anton Enriquez, and partners, Fibonacci for them means the perfect ratio between wine and pizza, handmade with love. The pizza boys, as we would like to call them, started out as friends who loved to eat good food and drink alcohol (moderately , we hope). Mr. Enriquez, whom they say is the heart of Fibonacci, is a pilot and the chef of the group. He can make anything from scratch and is a self-taught chef, and as claimed by them, learned everything from.. youtube. He makes the yummiest hand tossed pizza and bakes the best focaccia bread. 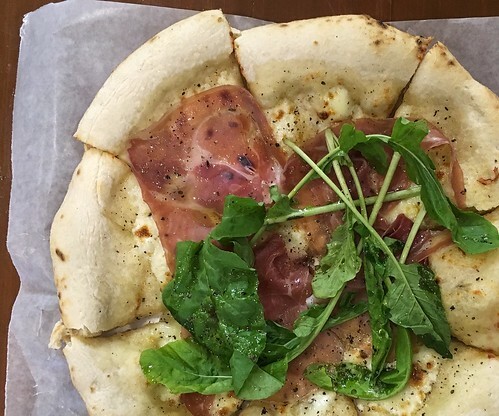 He grows his own herbs and sees to it that everything they put on their pizza is organic. They leverage in providing quality pizza using premium ingredients, sold at reasonable prices. 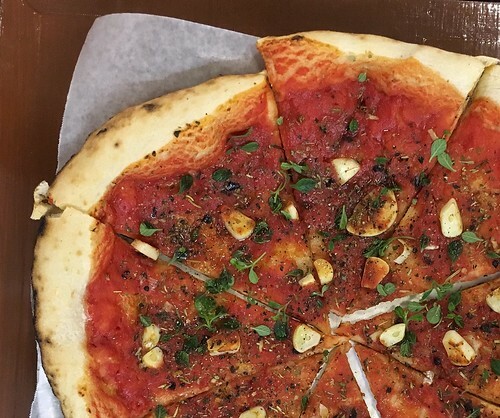 Currently, Fibonacci only focuses on 5 flavors – Prosciutto & Arugula, 4 Cheese, GOT or Garlic, Oregano and Tomatoes/ Marinara, California Bbq, and Margherita. A tip from the pizza boys — For guys going out on a date, pay Fibonacci a visit and they will make sure you and your date end up together (jk). The other partner, Mr. Canlas also owns Q Grill in San Antonio, Paranaque. 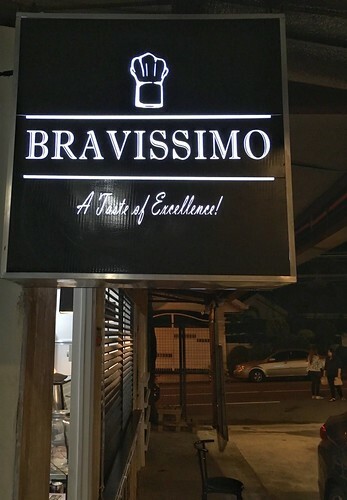 Bravissimo has been in the catering business for 3 years. Kyna Jureidini, owner and chef, was first exposed to cooking at the age of 16 through her grandmother and has been interested in cooking since then. 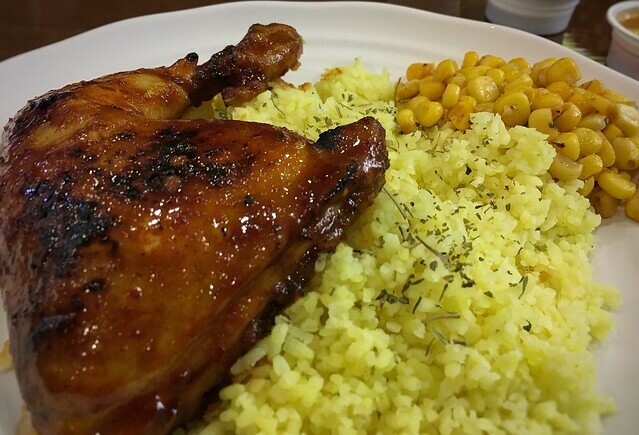 At Food Haven, she specializes in American cuisine and a few of her specialities include the Mozarella Sticks and Hickory Glazed Baby Back Ribs. 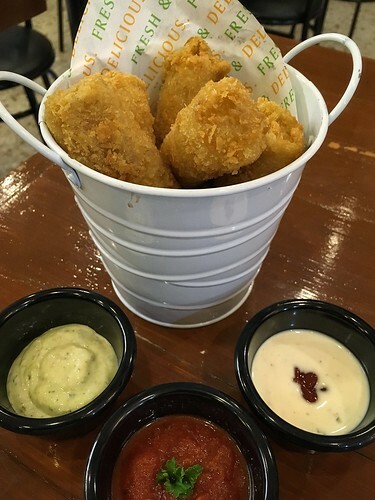 The Mozarella sticks come with 3 dips – Pesto Mayo, Pomodoro, and Homemade Bravissimo Aioli Dip, sold at Php245 for 6 pcs. 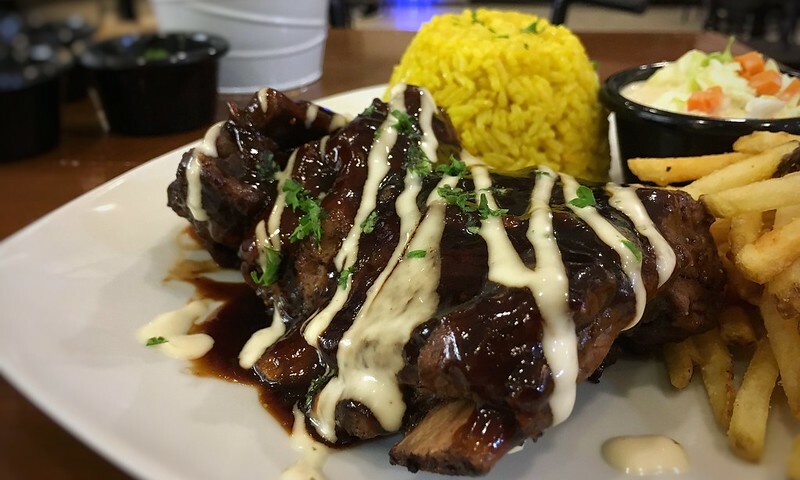 The Hickory Glazed Baby Back Ribs are offered in two versions -the basic meal served with rice (Php195) and the fully loaded version that comes with 3 sidings. Sidings options – Bravissimo dip, Turmeric rice called yellow rice, Cole slaw Fried lasagna roll ups, Garlic buttered mushrooms, Potato croquets, and Grilled veggies (Php285). We have nothing but respect for Chef Kyna who has achieved so much at a very young age. 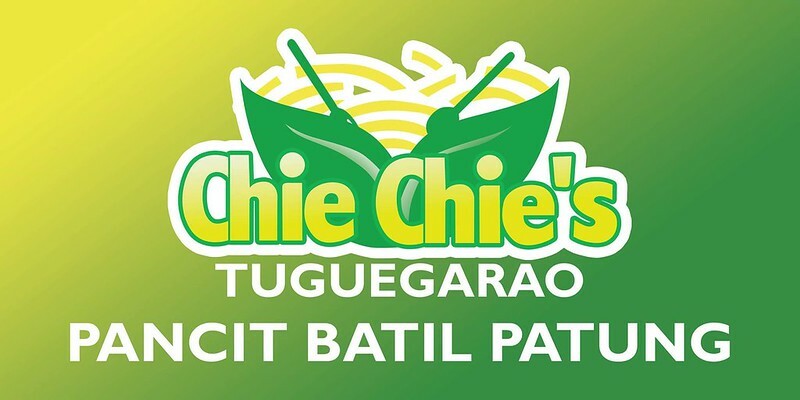 Part of Chie Chie’s mission is to provide exposure to Tuguegarao’s specialties. Eating pancit is a new experience for most non Tuguegarao natives.. and the proper way of eating it is to dig in while the pancit is still very hot, taking a sip from the egg drop soup that comes with it, and not to be missed is the chopped onions seasoned with Chie Chie’s very own special soy and vinegar to optimize the flavor. 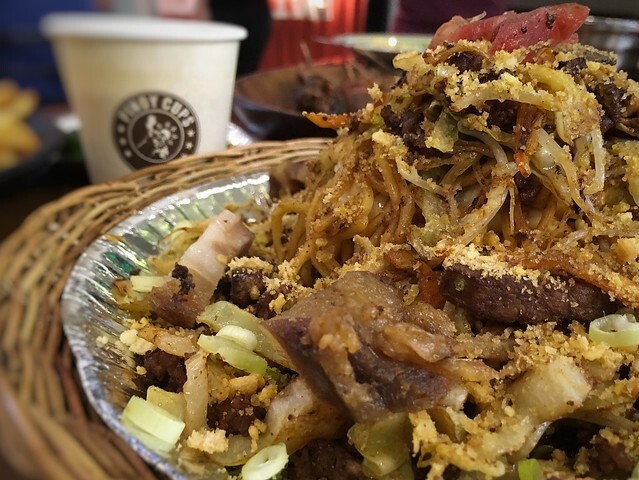 The Pancit Batil Patung is the star of the show although native delicacies like the Tuguegarao longganisa, Chie Chie’s version of sisig called the dinakdakan, and the special tapang kalabaw are also among the favorites. Prices range from Php130-180. 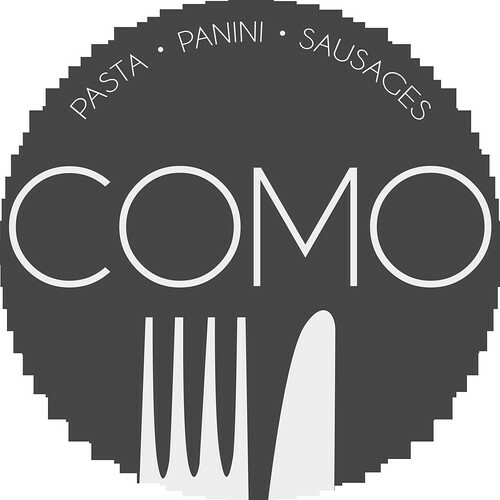 Owned by Erik Santiago and partners, Como mainly serves Italian food, majority of which are Paninis, Pastas, and Sausages. 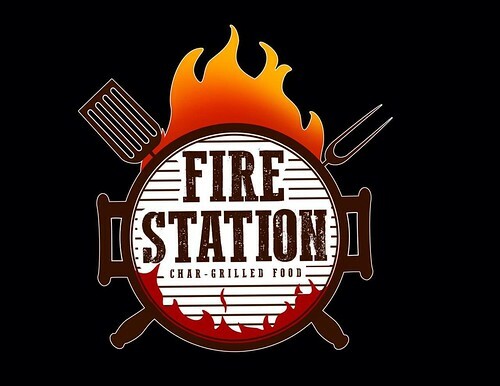 Their Paninis use homemade bbq sauces with no preservatives and the marinades are all made from scratch. Freshness guaranteed! Regular: Php199; Junior: PhP99. 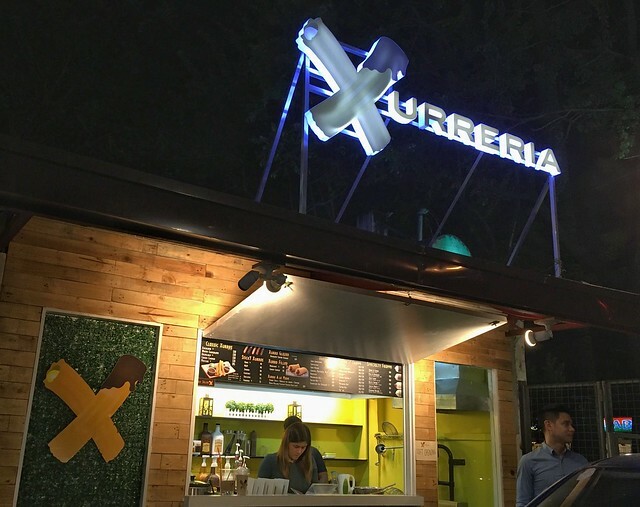 Xurreria is a Spanish word for churros place, and to serve fresh churros with a twist in a food park, with different kinds of dips is the driving force of Xurreria. Their bestsellers include the Classic Churros with Xocolate Dip, the Ferrero Stick, and the Snicky Marty (Snickers Frappe). 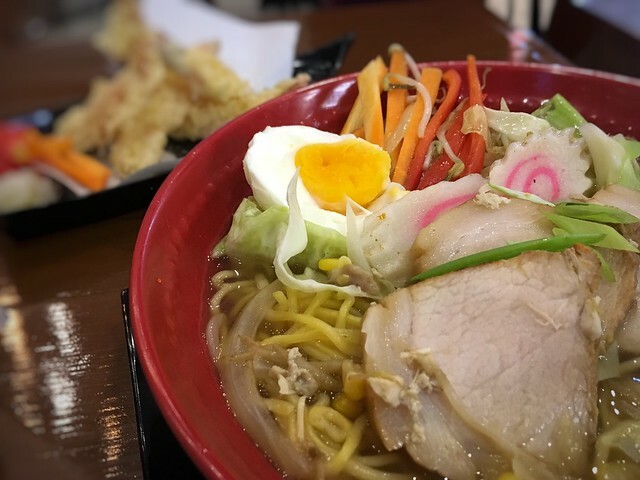 With 1 branch already operating in Maginhawa, Xurrerria plans to open 2 more stalls in Maginhawa and another 1 in Marikina by December. When people say that #ItsBetterThanWhatGrandmaServes then it must be true! 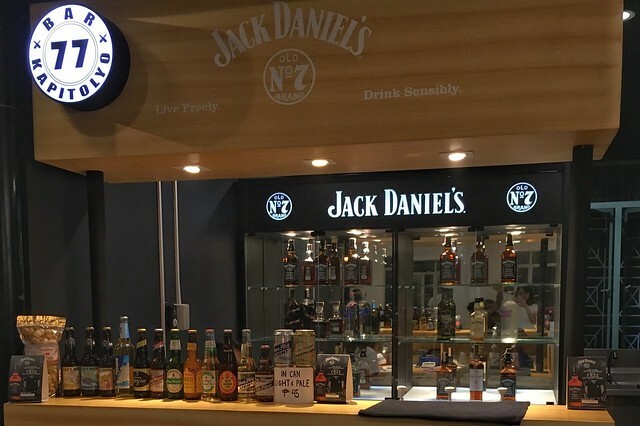 And last but not the least, for all alcohol needs, you may and should check out Bar 77’s drinks selection at the second level. So to answer the question ‘So why take a second look at this one? And why even bother entering?’… for us the answer is a big yes. We spent a good 6 hours at Food Haven and during our stay, we felt nothing but warmth and the openness of everyone made us realise that the entire place is practically one big happy family.. We even ended up having drinks with the stall owners which for us, was a welcome change. Congratulations on your Grand Opening Today!! !